When the cold weather settles in, millions of devoted fans brave the cold for a seat (or simply a place to stand) in their college stadium, where they cheer their team on to victory against worthy opponents. But just which fan base has the reputation for being the craziest? The most unique? The loudest? The men’s basketball program at the University of Kansas began in 1898 with Dr. James Naismith as coach (yes, that Naismith). On top of having the founder of basketball as their first head coach, the Jayhawks student section regularly holds up the student newspaper while the visiting team is introduced, “waves the wheat” at opposing players who foul out, and proudly sings out the Rock Chalk Chant. Visiting teams not only have to contend with a strong Syracuse squad but must also fight the distractions and thunderous noise inside Carrier Dome (a.k.a. The Loud House). From tip-off until the first ‘Cuse basket, every fan stands, clapping and cheering on the starting lineup to their first points of the game. And although there will always be a regularly packed house, the loudest and rowdiest fans can be found in Otto’s Army. 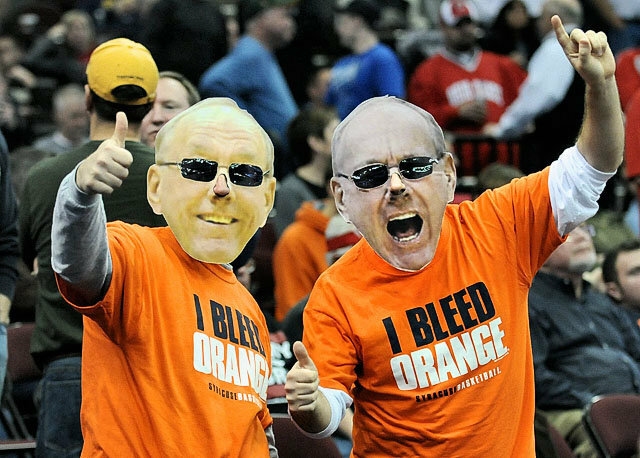 Along with their “Who’s he?” commentary when the visiting team is being introduced and the traditional “Let’s Go Orange” chant, you’ll also see many large cut-outs of Jim Boeheim’s head floating throughout the student section. For particularly intense match-ups and rivalries, students camp out – sometimes for weeks despite the harsh winter weather – in the section outside Gate E, appropriately named “Boeheimburg.” There’s no denying it – Syracuse fans are committed. If you’re a part of Big Blue Nation, you know what it takes to be a true fan. Kentucky fans regularly outshine opposing teams when a game is played at a neutral site and are pros when it comes to utilizing blue body paint and other accessories. Students will camp out each year in an effort to get their hands on the ever-coveted Big Blue Madness tickets – if you should happen to visit just before the first official practice of the season, you’ll see over 500 tents around Memorial Coliseum. The Cameron Crazies are the fan base against which all others are measured. Naming them as the top crowd in the realm of college basketball always comes with heated debate, but you’ve got to admit that the Crazies are nothing short of innovative, witty, and clever. Along with blue body paint, outrageous outfits, and coordinated chants, the student section is notoriously known for poking fun at players, officials, and opposing coaches. “Krzyzewskiville” is one of the largest tent cities on college campuses and routinely pops up days or weeks before intense rivalry games. While you either love them or hate them, the Cameron Crazies are known for being Duke’s “sixth man” and live to make the competition even tougher for those teams who dare step into Cameron Indoor Stadium. Your favorite fan base didn’t make the cut? 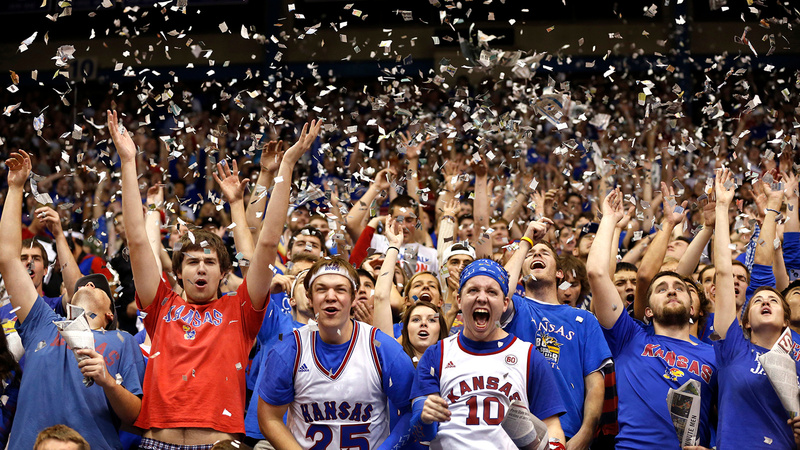 It’s time to order tickets, stock up on face paint, and get ready to cheer a little louder. Be sure to visit our Facebook and Twitter pages and tell us who your favorite is!